In order to meet the needs and requirements of the clients, we are offering a quality tested array of Marble Floor Medallion. 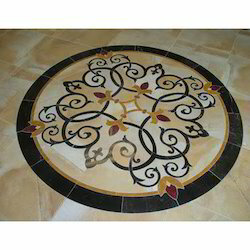 The Marble Floor Medallion we offer is widely demanded by the clients for their fine looks and attractive appearance. These products are made by using as per the requirements of the clients. Unit Size (mm X mm): 30" 30"
Unmatched in dignity, style and charm, these marble flooring medallions make the room look different with their colorful designs and artistic look. We are one of the leading enterprises engaged in providing a gamut of Marble Floor Medallion to the clients. 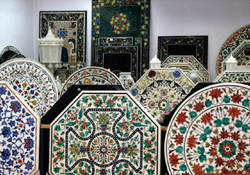 These stones are made available in a plethora of designs, shapes, sizes and color combination in the market. Further, we have appointed a team of quality controllers, which stringently checks the quality of each inlay.